254 Jim Bowie Dr Hemphill, TX. 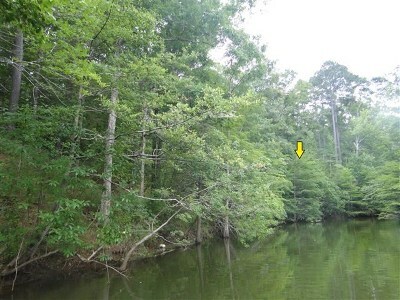 | MLS# 73911 | Toledo Bend Express Realty; Toledo Bend Real Estate Professional; Waterfront property and Lake Homes for sale at Toledo Bend and Sam Rayburn Lake! Vacation or retire; Certified Retirement Community in Texas Forest Country! Enjoy golf, fishing, ATV trails. Large Corner Waterfront lot in Old Sabinetown! Large Corner lot in Old Sabinetown! This heavily wooded lot has 80' of waterfront on a deep water cove that is rumored to be a great crappie hole! Paved streets in a small, quiet site-built homes only subdivision complete the picture! Bring your RV and play on the lake while you plan your dream home! You are allowed to stay on your lot for up to 14 days at a time! Lots of bang for your buck !